IN THE TIME YOU REQUIRE IT. Northern Steel Buildings is your complete steel building supplier for projects ranging from 1,000-200,000 sq.ft, anywhere in MB, BC, AB, SK + Northern Canada. Everything from the structure to windows, doors, and insulation and more. Our in-depth industry experience provides us with the insight and expertise to aid in all aspects of your project. Our background is in building erection in western and northern Canada, giving us the knowledge to help our customers from planning to installation all across Canada. Check out what we have to offer and how to get started. NOTHING PROTECTS YOUR INVESTMENTS LIKE STEEL. Our buildings are manufactured to all current building code requirements within Canada and the United States. Any building type can be built with our products, from small self-storage units to schools and hangars. This includes retail buildings, factories, machine shops, equestrian buildings, and everything in between. 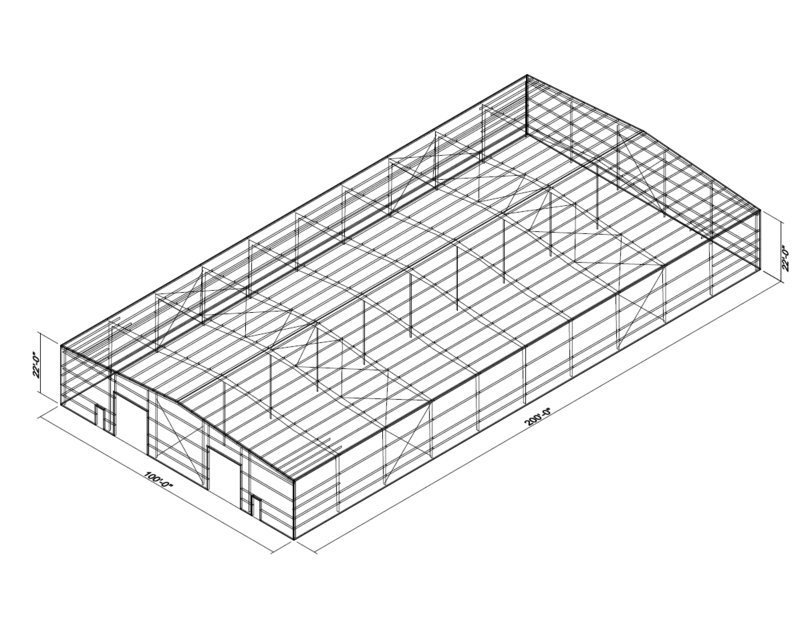 Whatever your application, we can create the steel building for you. Enjoy the long-term benefits of steel buildings including lowered maintenance costs, the longest life of all structure types, decreased a/c and heating costs and more. The versatility achieved through a steel building is second to none by using the structural rigidity to accomplish architectural and design goals that are difficult or impossible to achieve through wood construction. Customization is made easy with our experienced team. 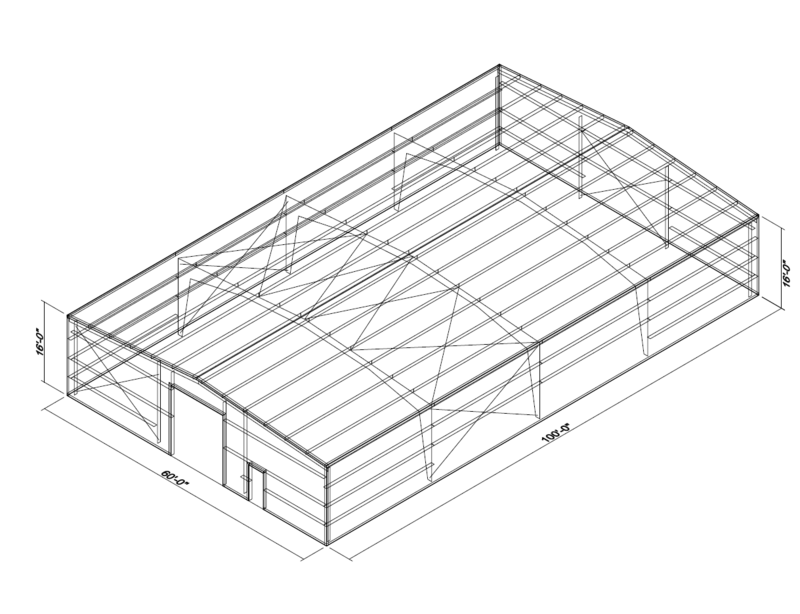 Send us plans of your own or work with our team, starting with the design process to get the steel building you need. Our reliable and high-quality suppliers provide us with the best windows and doors produced for steel buildings in Canada and the United States. Example of a Medium 60 x 100 x 16 – $55,750.00. One 12’Wx14’H overhead door opening, one man door opening. All buildings may be customized to your specifications. (Pricing subject to change) Inquire today for a no obligation quote for your specific needs. Financing options available for all. Example of a Large 100 x 200 x 22 – $151,800.00. Two 14’Wx16’H overhead door openings, two man door openings. All buildings may be customized to your specifications. (Pricing subject to change) Inquire today for a no obligation quote for your specific needs. Financing options available for all. All of the above to add delivery and applicable taxes. Price may change depending on local loading and building code requirements as well as the importance factor of the building. The above buildings are all designed at 40.96 psf snow load and 10.87 psf wind load.